The war between Google, Facebook, Amazon, and Apple. Dear amazing friends, thank you for your overwhelming support! If you enjoyed this email, please forward over to friends that will find it interesting as well. Most of the content of this email is sourced or inspired by a few books that I list at the end. If you like what you see and want to dig deeper, I recommend reading the books. 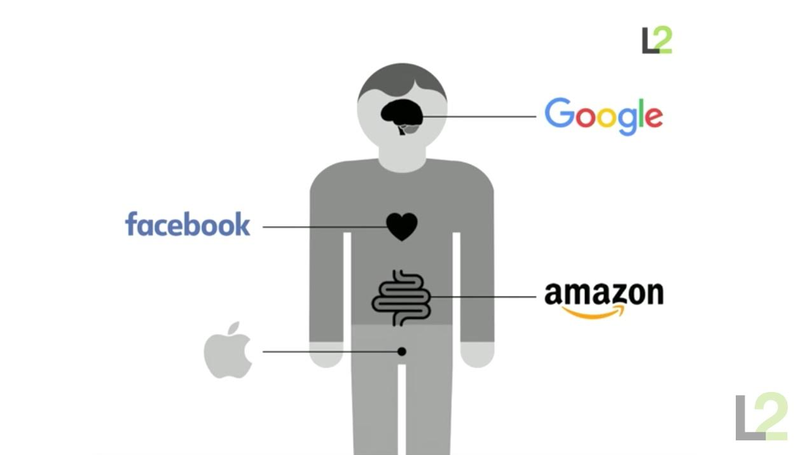 Scott Galloway’s The Four isn’t out yet, but you can watch his latest presentation here. Egypt’s natural desert borders protected it from invaders. The Nile River was a natural network that connected the civilization. The river made it possible to mass produce food in epic proportions. 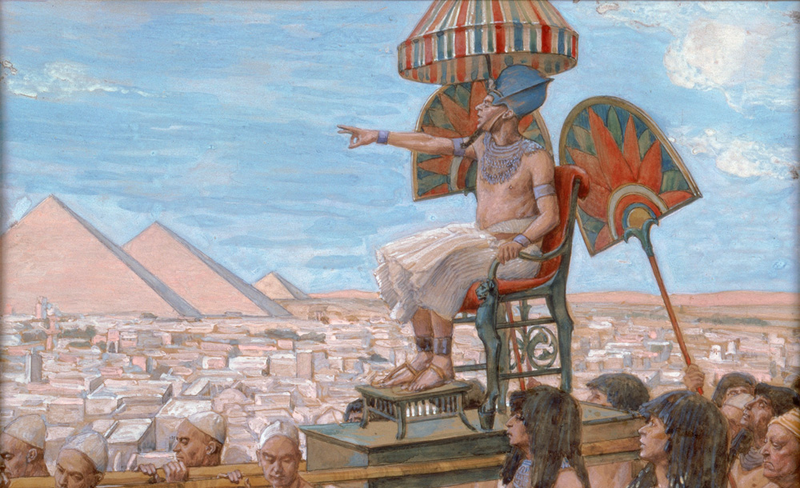 The Pharaohs controlled the Nile River and taxed the farmers for access in the form of food. They stockpiled food stores that they distributed to mitigate local famine and floods. They quelled revolts because they could summon troops with speed. By controlling the Nile River, this small group of humans became living gods on earth. Their people built hundreds of pyramids over the course of their reign in their honor. Each pyramid sentenced ten thousand farmers to thirty years of hard excruciating labor. The Internet was not the first network to supposedly change everything forever. In 1910 under Theodore Vail, AT&T connected the nation with a monopoly of telephone wires. Like Google’s early “Don’t Be Evil” policy under Larry and Sergey, Vail’s AT&T served the public good. At the time, people perceived AT&T with the same technological reverence as they do with Google today. The telephone, radio, television, and film all started out as freely accessible networks. Now they’re all closed systems controlled by monopolies or cartels. The Internet is simply repeating another cycle driven by human nature. What once began as a utopian network to bring people together is now controlled by The Four. Our four Pharaohs effectively rule over almost all gates to the Nile River of your time: The Internet. For access, you have no choice but to pay the toll with your attention and your data. Google is after your mind. Google knows every question you’ve ever asked the Internet (Search). He knows what you’ve done and what you will do (Calendar). He knows where you’ve gone and where you are going (Waze, Maps). He knows every website you’ve ever visited (Chrome, Analytics) — even the ones in incognito. He’s probably reading your Gmail, your Google Docs, and your Hangouts. He can even predict what you’ll want before you tell him (Google Now). Google spends billions building free software to collect millions of your data points. He’s captured your mind by using all that data to understand what you’re thinking better than you do. And he sold you, and others like you, to his advertisers for $79 billion last year. Facebook is after your heart. Facebook knows your real name and can recognize your face from any photo. She can accurately predict your interests from your location, age, education, and occupation. She has a deep understanding of who you care about, how you know them, and how close you are with them. She tracks how often you message them and interact with them. She knows what you like to read, everything you like, and everything you care about. Facebook spends billions of dollars to ensure you’re perpetually distracted and addicted. Her algorithms use your like and click history to curate content so you never stop scrolling. Every time that little red notification appears, you have to check the number of likes you got. The last time you looked was seven minutes ago. You often catch yourself scrolling on autopilot not knowing how you got there. Facebook is enabling your addiction to capture your attention and your heart. She sold you, and others like you, for $27 billion last year. Google and Facebook combined are monopolizing the global ad market. Amazon is after your gut consumption. Over the last million years, more of our species have died from starvation than any other ailment. We’re hardwired with one basic instinct: the need for MORE. We can never get enough. Amazon Prime has turned the world’s fastest growing retailer into a subscription service. 64% of US households now have Prime. He’s inserted a direct feeding tube of stuff into the wealthiest households of the world. Services such as same-day free shipping has hooked him into your home. He’s ensured your need to increase consumption and renew your recurring subscription. Quitting would cause withdrawals. Now with the acquisition of Wholefoods ($13B), he’s conquered perishables. 55% of all product searches in the US now start from Amazon and he accounts for nearly half of US online retail sales. Amazon is a search engine attached to a warehouse. Armed with your consumption data, he convinces you to buy more. Apple is after your reproduction instinct. Luxury brands are how you signal your ability to attract and keep a mate. As a man, you demonstrate that you can absorb costs without endangering survival. As a woman, you’re deterring romantic rivals from poaching your relationship partner. Former Burberry CEO, Angela Ahrendts, and YSL CEO, Paul Deneve, transformed Apple into a luxury retail brand. Your iPhone signals you’re wealthier, better-educated, and more attractive than an Android user. She convinces you that you’re a loser if you haven’t traded for the latest version of the iPhone. You own her Airpods, iPad, MacBook, and Apple Watch so your entire outfit matches. The data you leave on your Apps, iTunes, and iCloud lock you into her ecosystem so that you need to keep buying Apple. She has managed to marry the profit margins of Ferrari with the production volumes of Toyota. She is the most profitable company in the world. The war for future control. As the Internet expands to all aspects of our lives, we’re witnessing a corporate war for control. Your digital collar and leash. The iPhone has already secured Apple’s control of mobile. We’ve moved off the browser and instead use apps from Apple’s App Store to access the Internet on our phones. To avoid getting shut out, Google gives away Android to phone and tablet manufacturers (Samsung, LG). Facebook acquired Whatsapp ($19B) and Instagram ($1B) to hold onto our mobile attention. To capture developing countries, Facebook is giving away free wireless Internet. Though there’s a caveat — they have to use Facebook to access it. Infiltration of your home has begun. Google (Nest) is watching your house through security cameras, thermostats, and smoke alarms. Google Home and Amazon Echo listen to everything you’re saying. They also can control your house as you begin collecting smart appliances. Apple is secretly working on her own Siri-based Echo competitor: Homepod. You’ve cancelled traditional cable television because you’re using Apple TV and Google Chromecast. Amazon’s $4.5 billion original content budget only trails Netflix’s $6 billion. Google is chasing Amazon Prime and Netflix with his own YouTube Red. Amazon’s NFL streaming is attacking traditional television’s last stand — live sports. Amazon bought Twitch ($970MM) because e-sports is surpassing traditional professional sports. Facebook bought Oculus ($2B) because she believes virtual reality is the next Internet gateway. Google wants to avoid being shut out by Oculus and Hololens (Microsoft), so he’s giving away Google Daydream by packaging it with the Android. Apple is secretly working on her own Augmented Reality product. Apple Glasses are inevitable. The future of transportation without a steering wheel. Google will be giving away Waymo’s self-driving platform to car manufacturers (Fiat Chrysler). He knows you will spend your idle travel time using your self-driving car to search the Internet. Apple is also secretly working on her own self-driving technology. Tesla, Uber, and Lyft hope to join The Four with this move. Vail built AT&T’s network as a public service to improve the lives of its customers. Yet, AT&T eventually used its monopolistic advantages to tax customers without adding value. A public company must report to shareholders who care about short-term profit. It’s structurally impossible for Vail’s successors to have a founder’s idealism and authority to ignore their demands. Though Zuckerberg and Amazon’s Bezos are still on their thrones, the founders of Apple and Google have passed on their scepters. The FCC is repealing net neutrality. Our Four Pharaohs will utterly control your Nile while you build their pyramids. Could the Internet be closed and predatory in the next 10 years? If someone forwarded you this message, you can SIGN UP HERE to get future emails like this. Google has not thrown out “Don’t Be Evil.” Don’t be evil” is still part of Google’s code of conduct. Alphabet dropped it / didn’t adopt for their overarching code of conduct, so it still applies to Google. Thanks David and Oletros for pointing this out. I also removed the line about Facebook’s echo chamber getting Trump elected since it wasn’t based on fact.